When I saw Miho’s (Wander to Wonder) tortilla pizza, I knew I had to try it. So this recipe is totally hers! 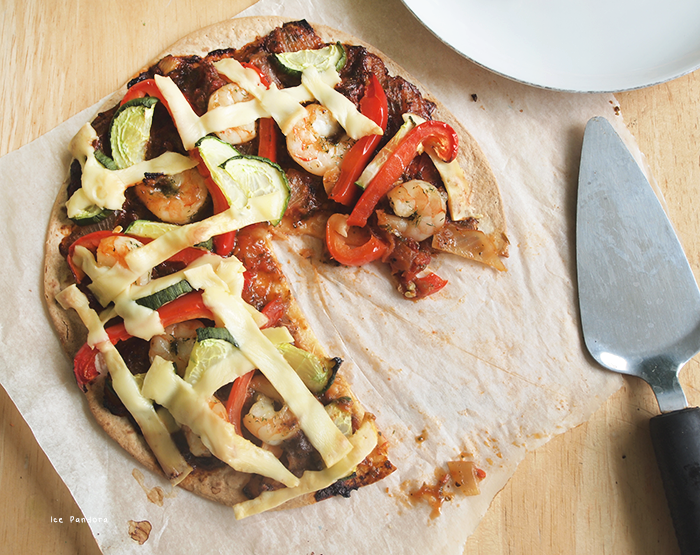 All you need for this easypie recipe is a tortilla shell and any toppings of desire! 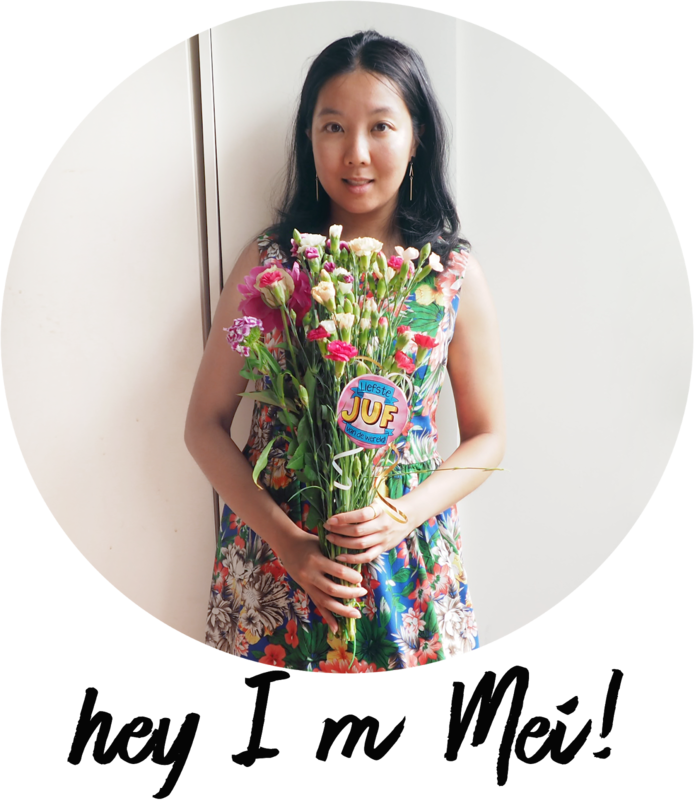 Wander to Wonder is a wonderful blog, and she’s a foodie just like me c: So feel free to check her blog! 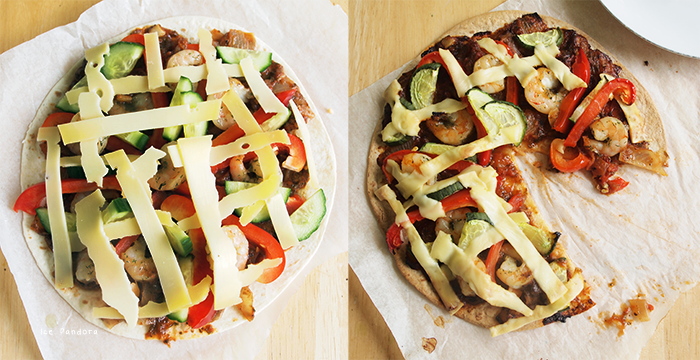 So for my own version tortilla pizza, I've used (homemade) tomatosauce with paprika, prawns, cucumbers and of course cheese with a lot of Italian herbs! 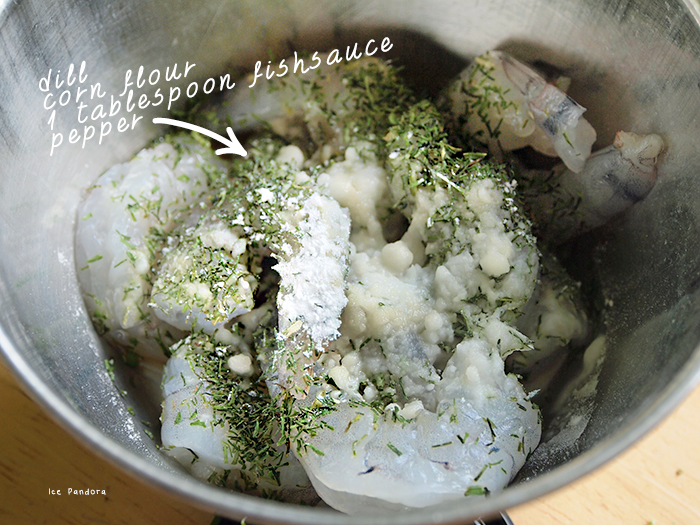 Deze recept is geïnspireerd door Miho van Wander to Wonder blog, want het is onwijs makkelijk om te maken! Echt wel een studentenmaaltijd als ik het mag zeggen :P Want het enige wat je gebruik is een tortilla en alles wat je als topping wilt gebruiken kun je erop leggen! 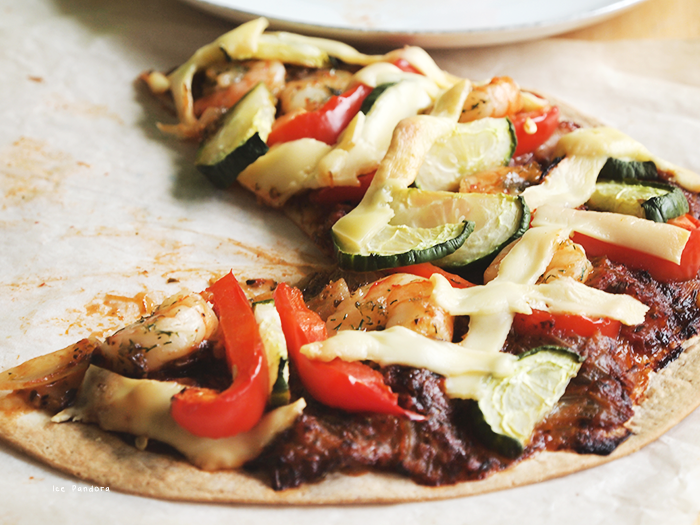 Voor mijn tortilla pizza heb ik dus een eigenmaakte tomatensaus gemaakt met bovenop paprika, garnalen, komkommer en kaas met heerlijke kruiden! 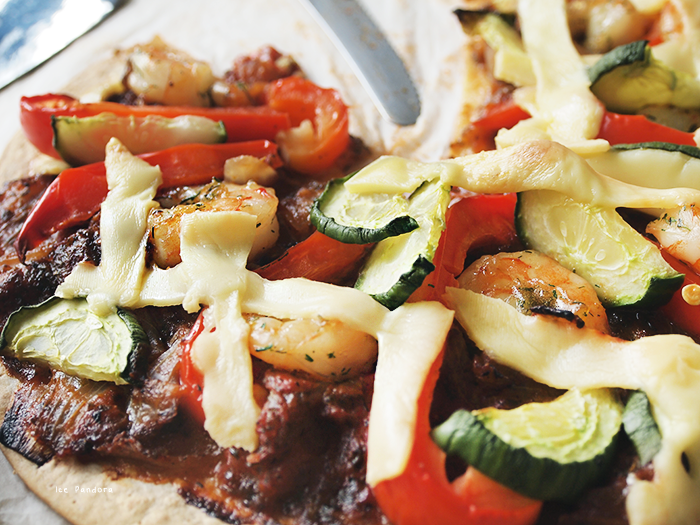 When you decide to cook with meat, saute them lightly first before adding them on the pizza top. I can't hold it like a real pizza unfortunate but it tasted amazing!! Pre-heat oven to 180°C degrees. 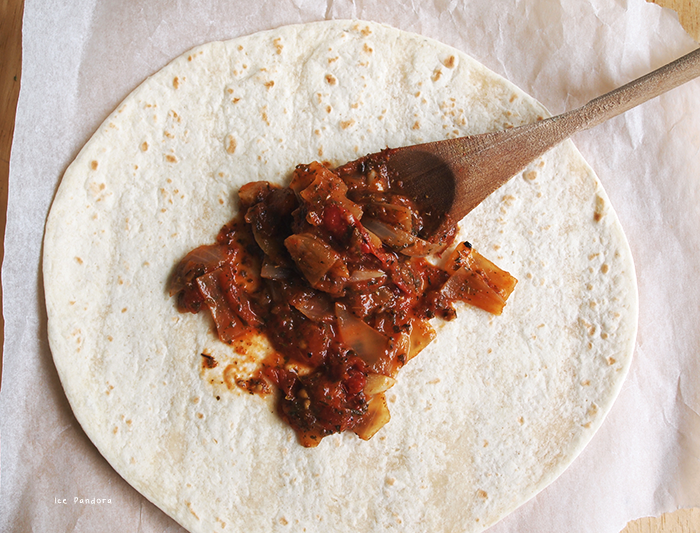 Spread the tomato sauce on the tortilla shell and decorate it with your favorite toppings! 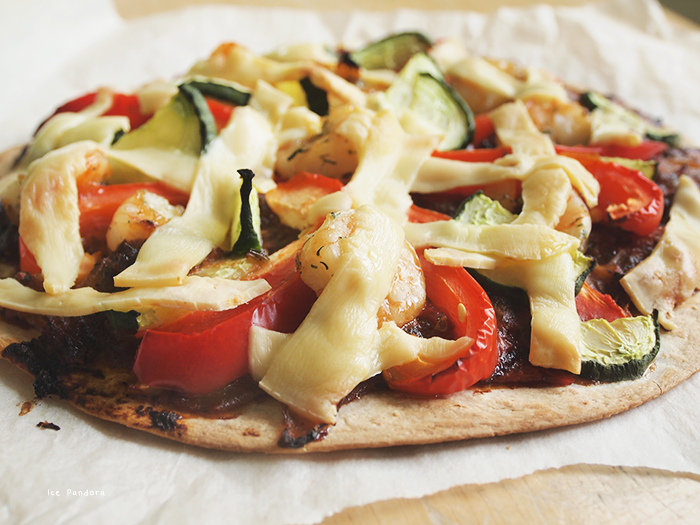 Bake the tortilla pizza for 15 minutes. 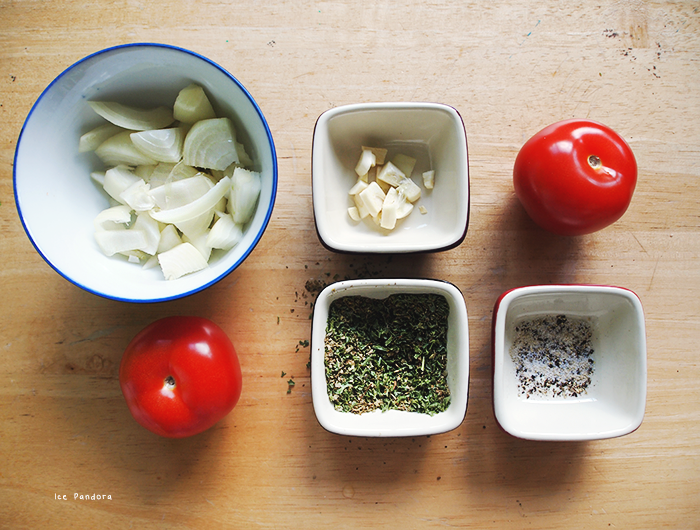 Chop onions, garlic and tomatoes in dices. Heat pan with some vegetable oil and saute the onions and garlic with some pepper and salt for a few minutes over medium heat. 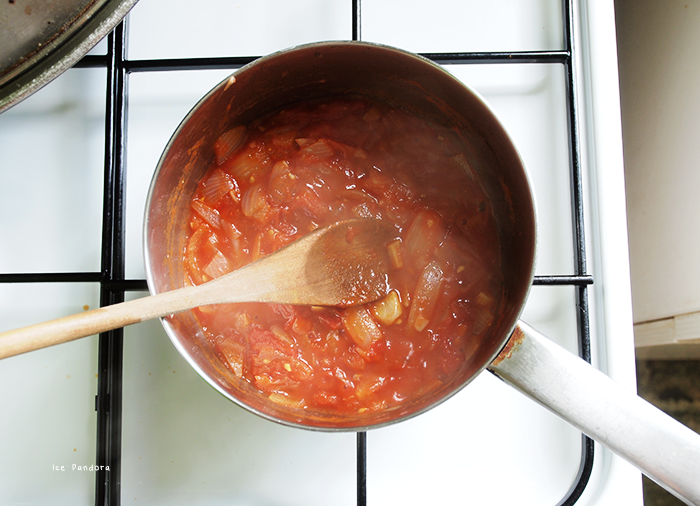 Add in the tomatoes and cook for 10-15 minutes on low-medium heat. 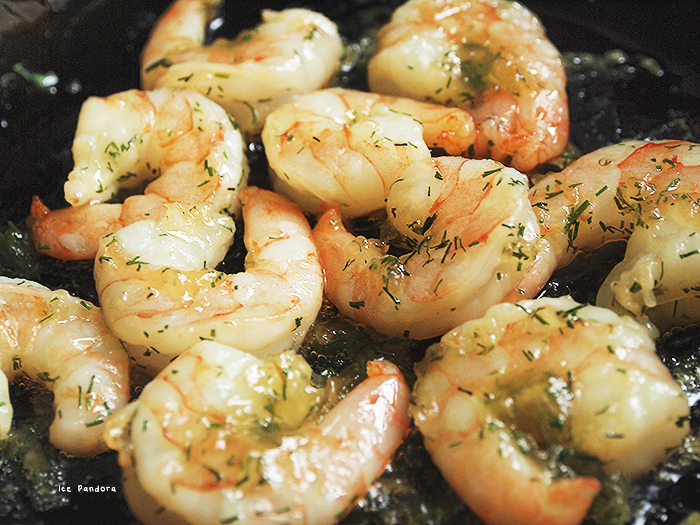 When everything is all mushy and saucy, add in the herbs and the rest of the pepper and salt, and stir! Oh my, Mei, this looks absolutely delicious. 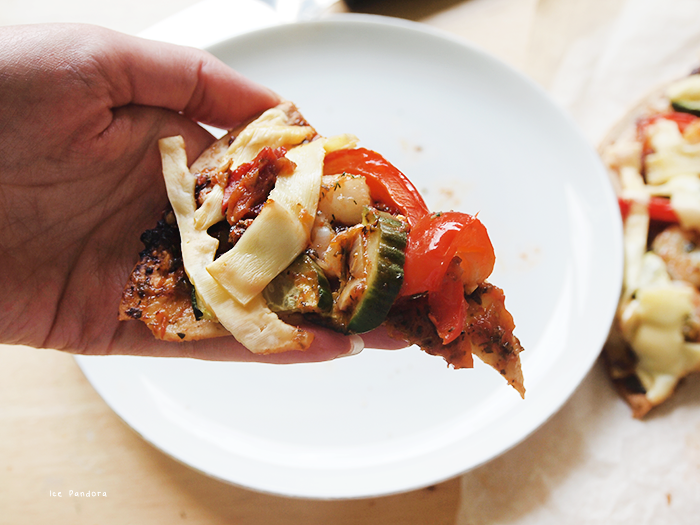 I love the idea of using tortilla shells for pizza! Ik heb net gegeten, maar ik krijg spontaan weer trek. Wat ziet dit er heerlijk uit zeg, denk dat ik het binnenkort maar f ga proberen. YUMYUMYUM! I need to make a similar pizza! Less crust, more toppings, my favorite type of pizza! 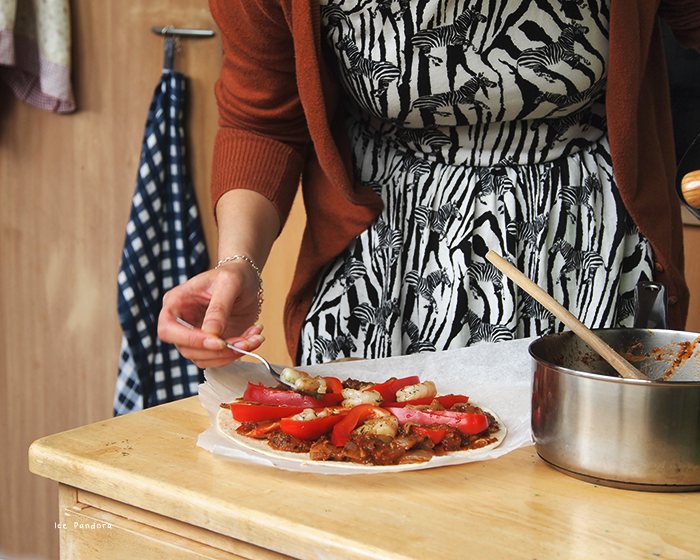 Miho's blog has the best food related posts, your tortilla pizza looks fab! hahah dit vind ik echt een geweldig idee! 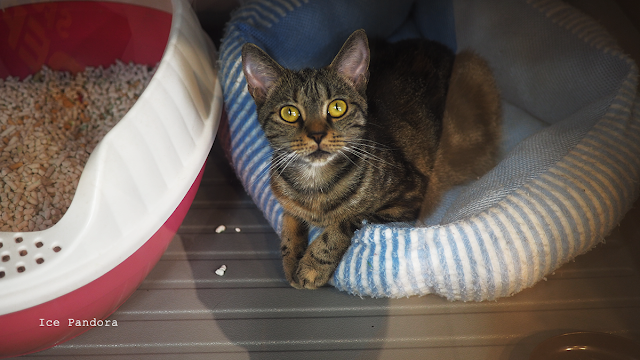 Het ziet er zo jummy uit c: deze ga ik onthouden! Thanks for the recipe! :D The substitute pizza looks delicious! I'll try it out when I'm home. oo oo oo dat ziet er HEERLIJK uit!! Dit is zo lekker! Ik maak het ook wel eens! Looks so good to me right now, haha! Sounds like it'd be super easy if you can't make the dough yourself. oh my gosh! mouthwatering amazing! Dit ziet er echt prachtig uit! oh wow. these look incredibly delicious! I must try it one day, when I'm in the mood for pizza!! I definitely need to try this out! !